Today’s blog post is part of a monthly feature called Mommy of A Miracle written by our mommy and caregiver blogger Kristin Olliney, the mother of seven-year-old Isabella, who suffered brain damage from sudden acute encephalitis at just four-and-a-half. In today’s post, Kristin shares the how their family life has changed since Isabella’s brain injury. Read Isabella’s entire story on our website. 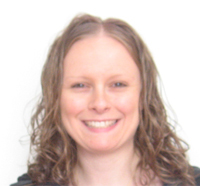 When Isabella suffered a brain injury, every aspect of our family life suddenly changed. While life is not perfect or the way I had planned, it still is great. Often, people do not understand why things are different because on the outside Isabella looks “fine.” Isabella’s ABI (acquired brain injury) is an invisible disability. Below are some of the ways that our family life has changed. 1. Our day-to-day life is different: As summer approaches, I think of how we spent our days prior to Isabella’s ABI. We were either at the beach, swimming in the pool, going to cookouts and parties, taking day trips, going to the zoo or hiking. Prior to Isabella’s ABI, she was a lot more independent. Since her ABI, our summer days are spent at speech therapy, occupational therapy, physical therapy, aquatics therapy, in-home behavioral therapy, hyperbaric oxygen treatment, infusions, meetings and doctors appointments. Isabella also requires help with daily tasks, such as getting dressed, brushing teeth, using the bathroom, etc. Our downtime has to be carefully planned out and revolves around Isabella and where she is mentally at any given moment. I have to consider her level of anxiety, aggression, mood, fatigue, etc when trying to plan an outing or activity. 2. Others perceive us differently: Isabella looks like a typical seven-year-old child. She has an ABI, which is an invisible disability. Isabella is a completely different child than she was before her brain injury. She struggles on every level behaviorally, emotionally, psychiatrically, cognitively, verbally, etc. While others may be in denial that anything is wrong, I have come to terms with the fact that Isabella will never be who she once was. Accepting this early on has helped me tremendously. While Isabella was robbed of the life she was supposed to have, she is working really hard. Her future will be different, but she has a future I believe will still be bright – it just won’t be how I may have imagined it. 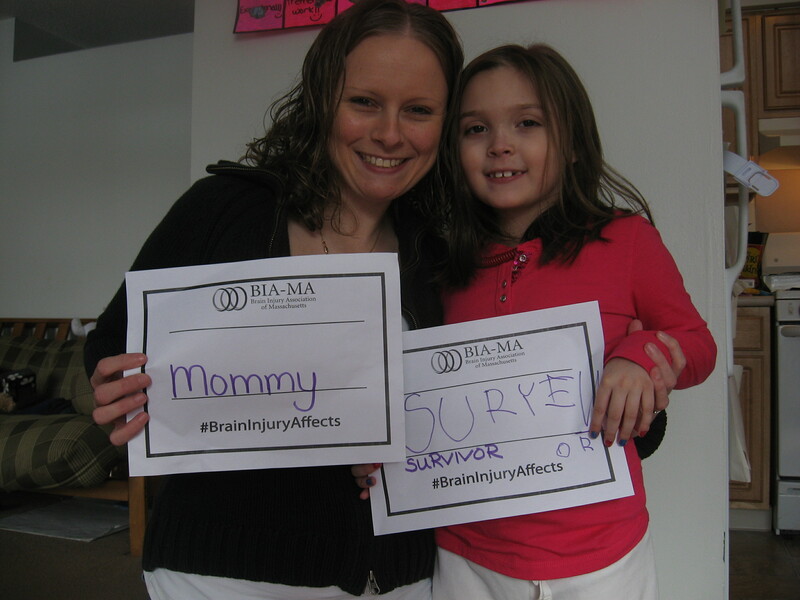 Kristin and her daughter Isabella participate in BIA-MA’s #BrainInjuryAffects Campaign. 3. Isabella’s behavior can be unpredictable: Isabella gets out of control. She can drop to the ground, kick, scream, hit and have a full out tantrum. Other times Isabella says and does the most inappropriate things. Isabella’s brain injury causes her do things that she can’t control. Having someone laugh, point, yell at either of us or add rude commentary does not help the situation. Isabella doesn’t need to be physically disciplined or ridiculed. She needs support, understanding and positive reinforcement. As a Mommy, I am doing everything that I can to help her and when we are judged, it makes us feel worse. 4. Isolation occurs: As we continue on this journey, I have realized that everyone else’s lives are moving on and in many ways ours are not. Most of our family and friends have stopped inviting us to parties or events. At first I was relieved because I didn’t have to explain why we couldn’t be there. It hurts when the invitations stop because it feels like family and friends have forgotten about us. It’s hard to hear about graduations, birthday parties, holidays and other get-togethers. While Isabella may not ready for those types of situations, there will be a day when she will. I am so thankful for those few people in our life that continue to invite us in hopes that one day soon things will change. At the end of the day, do I wish things could be different for Isabella and our family? Yes, of course I do. I wish nobody had to suffer from a brain injury. That being said, the reality is a brain injury is not going to magically disappear. I am helping us embrace the life we now have and to make the best of what we have – it’s all in how you look at it. I am thankful for every moment and day I have with Isabella. The outcome could have been so much worse. Brain injury changes every aspect of your family. It doesn’t mean your life is over, it means that you need to accept that a new life is about to begin. This entry was posted in Mommy of a Miracle and tagged brain injury, brain injury support, caregiver, caregiver support, child brain injury, head injury, pediatric brain injury, sudden acute encephalitis, TBI, traumatic brain injury on June 21, 2013 by Brain Injury Association of Massachusetts.